In case you are wondering, disruption is a buzzword around the business community. It describes a situation of either ‘high-end disruption’ (where some new product wipes out a product that people used to use – think digital vs Overhead projectors) or ‘low-end disruption’ (where someone comes up with a better, cheaper, easier or more efficient way of doing something – think old check-in desks vs online check-in and boarding cards on mobile devices). Those aren’t my terms. They come from a book by Clayton Christensen called ‘The Innovators Dilemma’. He points out that low-end disruption is by far the most dangerous, because if someone can come up with a business model that completely undercuts yours (both financially, emotionally and in convenience terms) you’ve had it. My interest in disruption was first aroused by a plenary at the English Australia conference in Brisbane in November 2015. The speaker (it was a brilliant plenary) was Dom Thurbon; he showed the power of disruption with examples from around the world of business and invention. With reference to the demise of Kodak he came up with the mantra that ‘change is slow until it isn’t’ and then gave us examples of how people re-think what they do to try and stave off the danger of disruption. ‘In times of change’, he said ‘the primary driver of success was an ability (and willingness) to challenge assumptions’. The question of course is whether the ELT ‘industry’ is vulnerable to disruption and in what way. Well for a start, it’s not as if people haven’t been trying to do this for some time now. The whole ‘adaptive learning’ industry (so ably tracked by Philip Kerr on his remarkable blog) has been trying to disrupt language teaching -without, it must be said, too much success so far; testing (and the teacher’s role in it) has been disrupted by computer grading. Meanwhile marketing and solutions expert (and speaker) Jacqueline Kassteen has been talking up disruption and suggesting ways that organisations can deal with this in terms of marketing, recruitment and delivery . My own interest (for obvious reasons) is more methodological/pedagogic than anything else. For example is the grammar syllabus REALLY the best foundation for learning? Maybe Stephen Krashen is right and comprehensible input is the ONLY way people get language (although that is, not unsurprisingly, a somewhat controversial view)? Does the increasing popularity of CLIL suggest major pedagogic disruption? What about Sugata Mitra and his ideas of ‘minimally invasive education (MIE)? Or what about that school in Berlin where they just set students tasks – with little teaching (in the traditional sense? Perhaps it’s time to revisit TBL big time? What do you think? Are we vulnerable? What assumptions would you challenge? What do YOU think is going to happen to us? Bye bye ELT? Change agents – young, old or dead? I’ve been thinking about change agents ever since Steve Jobs’ passing took us all back to that Stanford university commencement address – and death. And there’s been a lot of that around lately; Jobs himself, Bert Jansch the guitarist who persuaded me to try a little bit harder (just because, once or twice, I sat a few feet away from him and feasted on his incredible playing), and in my own professional field I have just been made aware of the death of Donn Byrne. Who? I hear the younger readers of this blog ask (I’ll come back to age, if I may, a bit later). 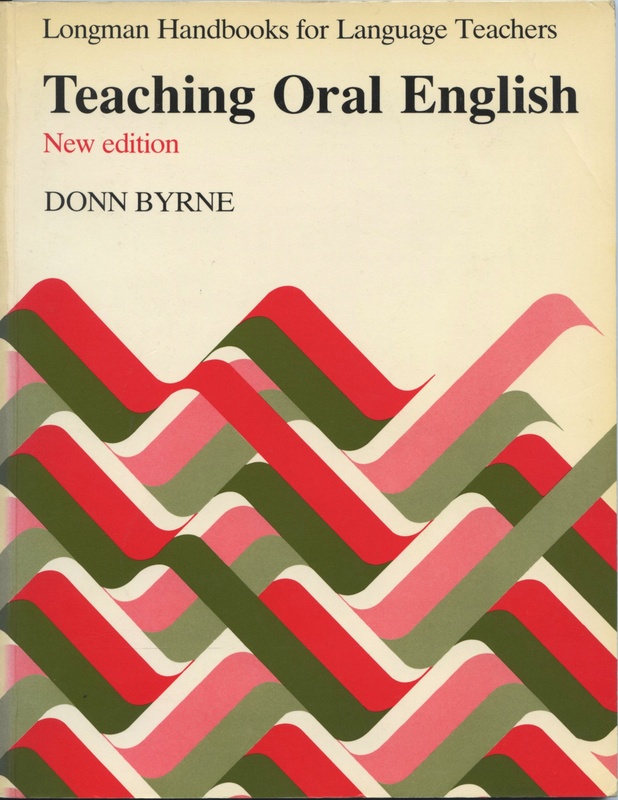 Well Donn Byrne was an ELT writer and in two particular books Teaching Oral English and Teaching Writing Skills, he set a standard for writing about teaching methodology which it is hard to beat. 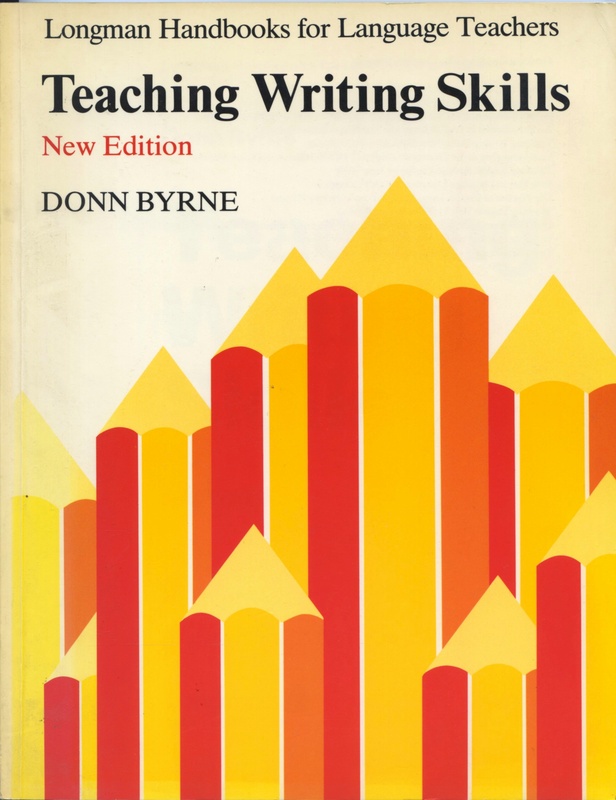 You might not, now, agree with his way of doing things, his view of teaching, but his descriptions of pedagogic practices are clear, helpful and steeped in the reality of the classroom. Does his death (or the other deaths we’ve heard about recently) change things or make way for the new as Steve Jobs suggested? Well that depends on whether the person who died was standing in the way of others, blocking their path. Perhaps, we might agree, older people should move aside, alive or dead, to make way for younger change agents. Because we do need agents like that – people who (like Bert Jansch for me) make us try a little bit harder, think a little bit more radically, try something new. And by the way, older people are pretty wary of youth in that sense, for as Gina Gershon says in the film Showgirls (no I haven’t seen it; I read this in a newspaper), “there’s always someone younger and hungrier coming down the stairs behind you!”. So I wonder: does change have to come from young people? Or rather does it usually come from younger people? In a recent event at London’s Festival Hall 87-year-old ex US president Jimmy Carter was, by all accounts, on sparkling, energetic and intelligent form. Would he still be – is he – a change agent? And who are the change agents for us anyway? The people we admire (why do we admire people? ), the people we love? The prophets shining with zeal? People who tell us things which amaze and enthrall us? Or maybe the ones who get us all mad and disagreeing, challenge us, make us uncomfortable about things we thought we knew. I think (despite, myself, being a slave, in his lifetime, to Steve Jobs and everything he made – and he saw that is was good! ), that he may not be right. Death is not necessarily a great change agent except in the sense that it creates space for the people still alive – and can make us very very sad. Change agents are the living, maybe young, possibly old, maybe inspirational, maybe convincing by example, maybe just plain ‘God how can she/he say things like that, I mean it’s just WRONG….isn’t it?!!!! In my case, thinking back over the years, I’ve been entranced, provoked and enriched by change agents in folk clubs, concert halls, books, classrooms and even conferences, but I’m not sure that I can describe what a typical change agent is.